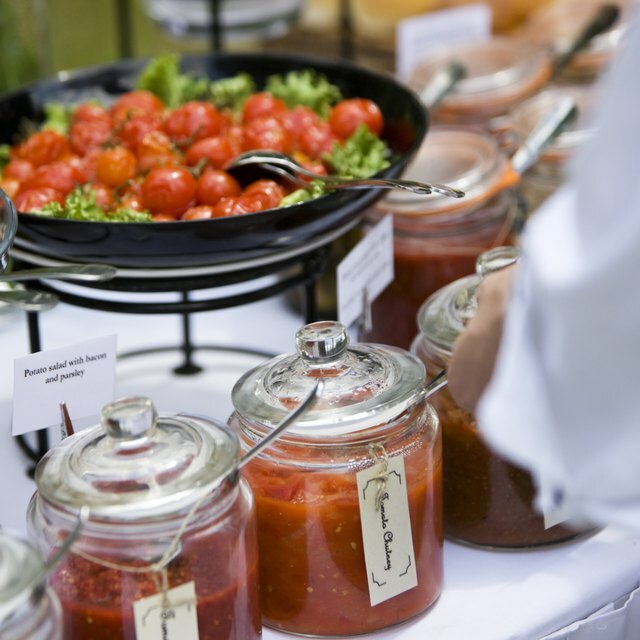 Hiring a caterer can get expensive, especially for a wedding. It’s often unclear how much the actual price will be after all is said and done. Sure, there’s a set price per person; however, there’s often gratuities, service charges and taxes added on top of that. So, how do you find the service charge of a catering service for an event? It’s just some simple calculations. Catering companies usually charge between 18-to-23 percent of your total bill as a service charge. If your catering is off-site, this usually warrants a percentage on the higher end of the spectrum. So why not include it in the original bill? The charge isn’t for food, it’s for behind-the-scenes stuff like chafers to keep food hot, bowls for the buffet line, delivery vehicles, behind the scenes staff and large equipment. Sometimes this includes event staff, but it depends on the venue and the caterer. A good indication that your service charge includes staff is if you’re billed for a certain number of hours. Many caterers charge extra to go above a standard number of hours because the percentage won’t cover the costs of their event staff. A service charge is not the same thing as a gratuity because it doesn’t solely go to the catering employees. It helps fund essential components of the business that keep it functioning. Almost any catering tipping guide will tell you to add 15-to-20 percent on top of the total cost of your bill for the tip unless it’s already included. Calculating a catering service charge can be done in a few simple steps. Use the total on your bill before tax to get an accurate number. Many catering companies structure their bill per person, especially if they’re catering a wedding, so you need to take that into account. For example, if you’re paying $100 per head and invited 150 people to your wedding, you’d multiply to get $15,000 as the total cost. Next, take the percentage of the service charge and convert it into a decimal. For example, a 20- percent service charge would be .20. Multiply this number by the total cost to get the amount of the service charge. On a $15,000 bill, a 20-percent service charge would be $3,000. Every state has different rules about sales tax. Sometimes a service charge isn’t taxable, in which case you’d calculate the costs separately based on the bill total. For example, imagine your catering bill was $1,000 with a 20-percent service charge and an 8-percent sales tax. First, you’d add $200 to your bill for the service charge. Then, you’d add $80 for the tax on the original cost. Your total bill would be $1,280. In some states, a service charge is taxable. In this case, you’d add the service charge to the bill before calculating the tax. For a $1,000 bill with a 20-percent service charge and an 8-percent sales tax, the final total would be $1,296.